If you have a computer with Windows, you probably have the classic game Solitaire installed on your computer. There may be times, however, that you don’t have access to your computer to play this game—or you may simply prefer the old-fashioned method of using a physical deck of cards. While you may know how to play Solitaire, setting up the cards can seem confusing the first few times. Fortunately, it is very simple to set up Solitaire and you can get the hang of it quickly. Remove the jokers from your deck of cards and then shuffle the deck thoroughly. Lay down a row of seven cards, dealing from the top of the deck. 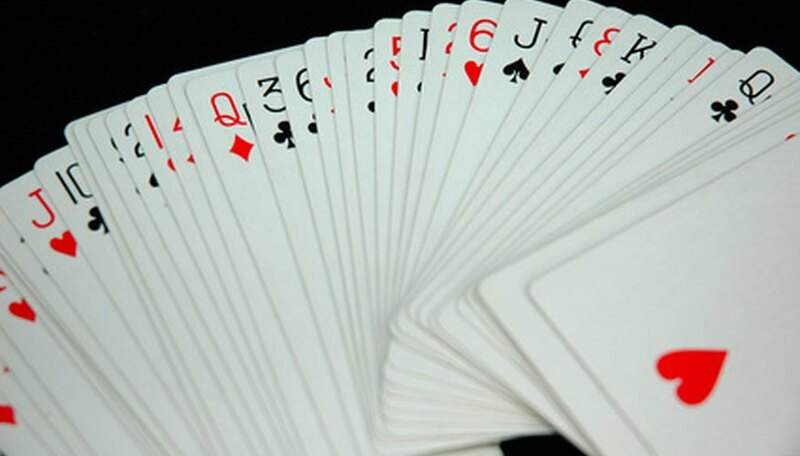 The first card in the row—the card furthest to the left—should be face-up, while the other six are face-down. Each of these cards, with the exception of the first one which is already upturned, will start a pile of cards that will all be face-down except the top card of each column, which will be face-up. For the sake of explanation, let’s number each column from 1 to 7, with the far left upturned card being 1 and the far right card being 7. Lay one upturned card on top of column 2. Then lay one card face down on each of the remaining columns 3 to 7. Lay one upturned card on top of column 3. Then lay one card face down on each column from 4 to 7. Continue this process until each column has an upturned card. If you have done this correctly, each column will contain the number of cards that corresponds to the column’s number, all face down except the top card. For example, column 4 should contain four cards—three face down and one face up. Place the remainder of the deck, face down, off to the side. This is the deck from which you will turn over cards during the course of the game. You are now ready to play Solitaire.